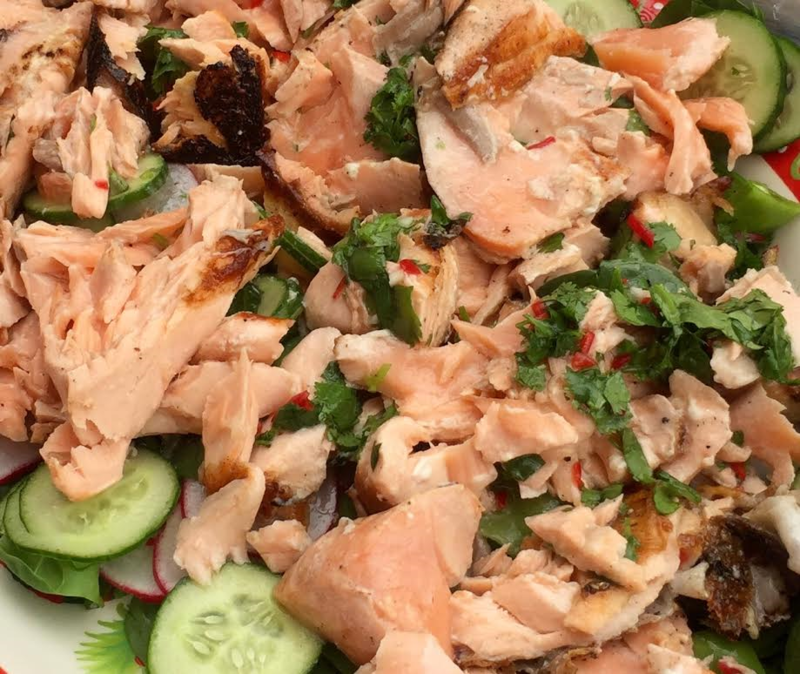 With these hot summers nights I have not wanted to cook inside so this recipe is perfect as the salmon is cooked on the BBQ and served with a fresh, crisp salad. Make the dressing first. Place all the ingredients in a bowl and whisk to combine (or place in a jar with a lid on and shake vigorously). Set aside. Place the salmon, coconut oil, juice of lemon and lime, salt and pepper and toss to coat. Ensure BBQ is hot and place salmon on plate and cook for 3 minutes each side (or to your liking). Prepare salad in a bowl or plate. Once cooked, flake pieces of salmon into the salad and drizzle with the dressing just before serving.